View information on accessing your medical records and medical record fees. All requests must be in writing. Call our office at (352) 594-0909 to have the form mailed or faxed. If copies of actual videos or tracings are needed, please contact the Department where the test was performed. It is a record of the information during the course of a patient’s treatment. It includes a variety of information in a variety of formats (written, electronic, x-ray film, etc. ), including personal, financial, social and medical information. Your medical record serves as a basis for planning your care and treatment, a means of communication for the healthcare professionals contributing to your care, legal documentation describing the care you received, verification of services and treatment covered by your insurance, and basic data for health research and education. The information found in medical records is confidential. Patients confide in their physicians because they are assured of this confidentiality and might not share the necessary personal information if this privilege did not exist. Healthcare workers are mandated by law and by professional standards to protect patient confidentiality. There are also state and federal laws to protect information related to specific diagnoses such as psychiatric/psychological, treatment of substance abuse (drugs and alcohol), and AIDS/HIV. How long does it take to get copies of my medical record? We will provide a copy or a summary of your health information, usually within 30 days of your request. Most record requests are fulfilled within 7 business days. There is some incorrect information on my medical record. How can I get it corrected? You can ask us to correct health information about you that you think is incorrect or incomplete. We may say “No” to your request but we’ll tell you why in writing within 60 days. Please call 352.265.9344 for more information. Can you give my medical records to me on a flash drive or CD? 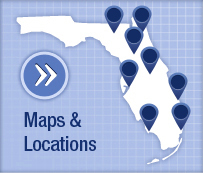 UF Health Shands can provide your records on a CD, deliver them to you through email or through the MyUFHealth portal. Please provide an email address on your release form and once the records are prepared, we will release to your preference. If signed by a personal representative, a description of his/her authority to act for the individual and a copy of the document giving that authority. Please note: Records are released upon completion and after the patient is discharged. Is there a charge for copies of my medical record? Under Florida law, you may be charged a fee of up to $1.00 per page for each page copied. You can save money by asking for specific documents or a record abstract (all recent major reports) rather than the entire record. The copying fee is waived for copies provided directly to a healthcare provider for continuing medical care. Can I see my medical record from the Internet? Yes, we can provide records to you via a secure website in PDF format. For this option, you must complete an Authorization for Use or Disclosure of Protected Health Information and provide a valid and legible e-mail address. You may be charged a fee for these records. You may also view portions of your record through myufhealth which offers patients personalized and secure on-line access to portions of their medical records at no cost to you. 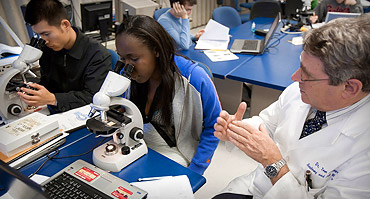 For more information and to sign up, please go to https://ufhealth.org/myufhealth-login. Can you fax the records to me? We do not fax medical records, except in an emergency to another health care provider. Can I review my medical record in person? No, however we will be glad to release the records to you through the MyUFHealth portal, email, CD or on paper. Is an Authorization for Release of Information “good” forever? Valid authorizations are good until revoked or they expire. It is important to note that once a release request has been fulfilled and additional records are requested, a new release form must be completed. Who can access my medical record? We are required by law to maintain the privacy and security of your medical record. We will not use or share your information, other than as described in our Joint Notice of Privacy Practices (NPP), unless you tell us we can, and you may change your mind at any time. How secure are computerized medical records? Computer-based medical records are as safe as paper records and are covered by the same laws. There are technical safeguards for the protection of computerized data as well as procedures for identifying and punishing violators. How long will you keep my medical record? By Florida Law, medical records must be retained for a minimum of eight years. Most records are retained longer. What can I do if I suspect that someone is looking at my medical record without permission? You should report this to the Privacy Officer appointed by your healthcare provider. 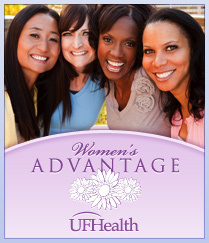 For UF Health Shands, call the Privacy Office at 352.733.0060. My son is a 19-year old college student. My insurance pays for his hospital bills and I claim him as a dependent on my income tax. Why can’t I see his medical records? By law, only the adult (age 18 or older) patient or a legally designated representative has the authority to release the information contained in a medical records about him/herself, regardless of who is paying the bills. Legally designated representatives include court appointed guardians or others with power of attorney for the patient. For children under age 18, only a parent or a court appointed guardian may authorize release of medical information. How can one of my outside doctors get copies of my medical records? Another healthcare provider (for example, a physician, nurse practitioner, or physical therapist), who is treating you can request copies of your health information at any time. It may be necessary to verify that this provider is currently treating you. The healthcare provider should submit a request in writing. My mother died last year. Can I request a copy of her medical records? The next of kin or personal representative of the estate may request those records. It may be necessary to verify that the patient has actually died and the identity of the next of kin. My husband and I are divorced. Can we both have access to our children’s medical records? Yes, unless parental rights have been severed by the court.